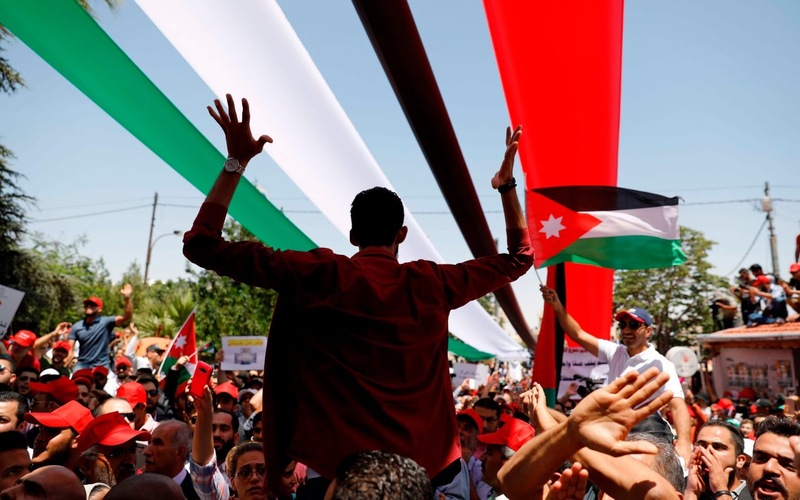 Jordanian protesters chant slogans during an anti-austerity rally in Amman. Jordanian unions staged a nationwide strike today over IMF-backed austerity measures including a proposed income tax law that has sparked a week of angry demonstrations. 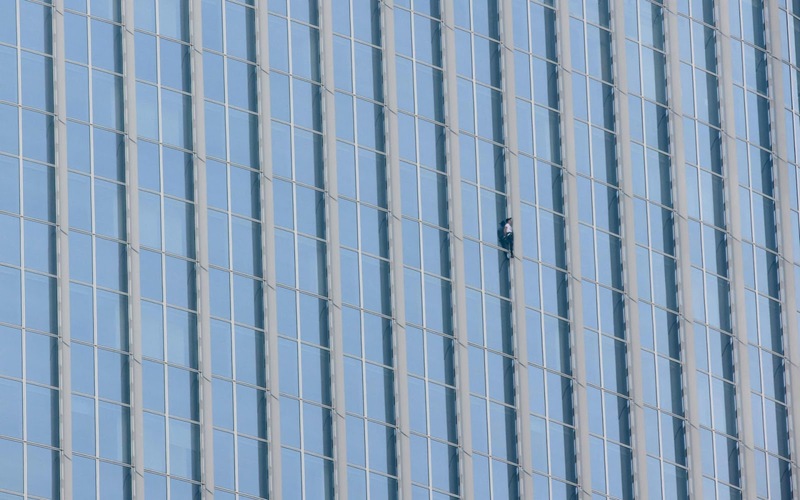 'Urban climber' Alain Robert of France scales the exterior of the Lotte World Tower in Seoul.